The spotlight is on the optics, photonics and imaging (OPI) industry in New York State with an inaugural class of entrepreneurs launching their Rochester residency as part of the Luminate NY business accelerator competition. And, while these start-ups are busy developing their plans to build on ideas from biomechanical eye imaging to built-in athletic wear sensors, Monroe Community College is training the next generation of optics industry talent to support the region’s OPI footprint. 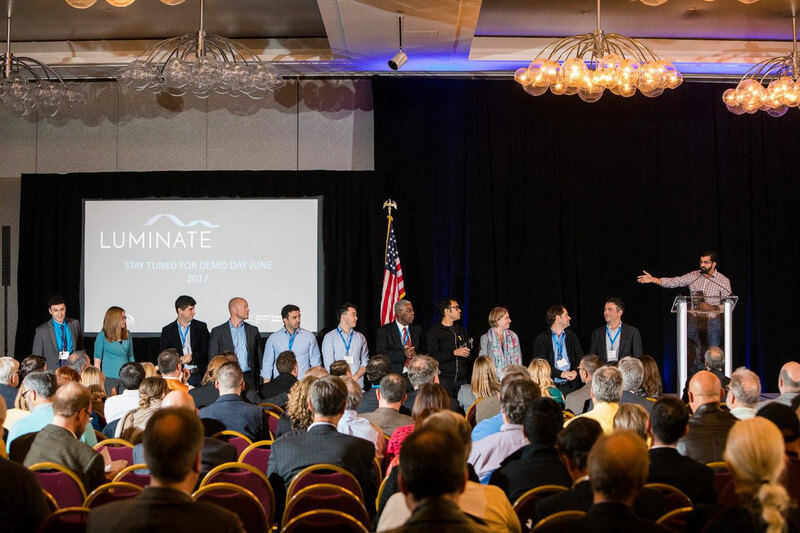 Each of the 10 Luminate NY finalists, chosen from more than 100 applicants from around the world, received a $100,000 investment, and arrived last month to spend six months at an incubator space in downtown Rochester. Their innovative efforts are housed at the city’s historic and renovated Sibley Square landmark. The companies are competing for more than $2 million in follow-on funding, including a top prize of $1 million, to be awarded on Demo Day in June. Click here to read more about the innovative ideas that are taking shape. The Finger Lakes is also home to Monroe Community College’s Optics and Photonics Technology program, training technicians to support OPI industry growth in the region—and around New York State, where workforce development programs are a key pillar of economic development. Program director Dr. Alexis Vogt sees technicians as critical to OPI testing and production processes and has noted the critical need for highly-skilled workers. For more about MCC’s program, click here. The Finger Lakes region is moving forward as a hub for business innovation. Explore how New York is supporting innovations in OPI.